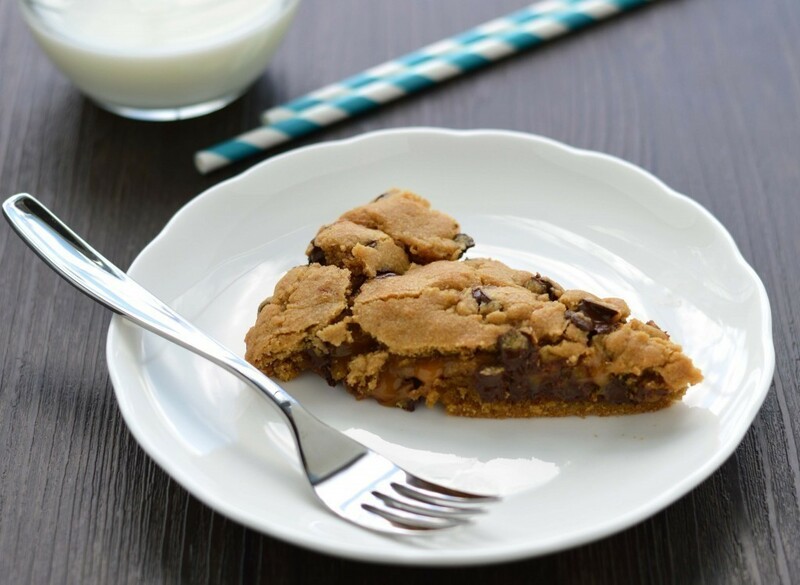 A ribbon of glossy caramel is baked right in to this chocolate chip skillet cookie! In a small bowl combine the caramels and cream. 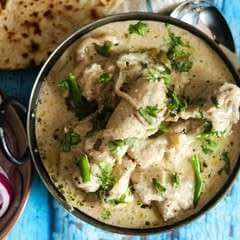 Microwave for 30-40 seconds and stir until melted. Set aside. Cream the butter and sugars. Add the vanilla and egg and mix until combined. 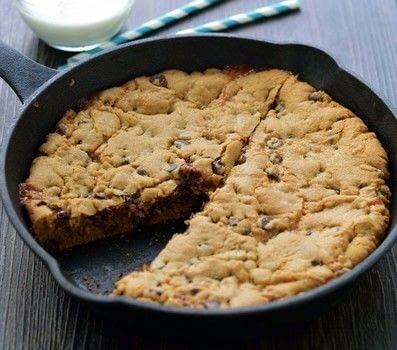 Press half the cookie dough into a 10 inch cast iron skillet. Pour the caramel sauce evenly over the cookie dough. Top with the remaining dough, pressing lightly with a spoon to cover the caramel. Bake for 25 minutes. Slice and serve! How much gram is 1 cup?